I'm going to be totally honest - I've never owned a proper trenchcoat, and never thought they would suit me. But I decided that this year was the year to try new styles and very rapidly, the trench has become one of my winter wardrobe staples. I opted for an oversized, camel-shade one so it is easy to style with just a striped turtle neck and plain skinny black jeans. Because it isn't bulky in terms of fabric, it is great for layering when the temperature drops, but because it is still oversized, the coat doesn't quite look right without some heels. Hence I added some height with my Jeffrey Campbell litas - the wooden heel resonates with the camel and I think this is a great casual, yet put-together outfit to keep me warm. 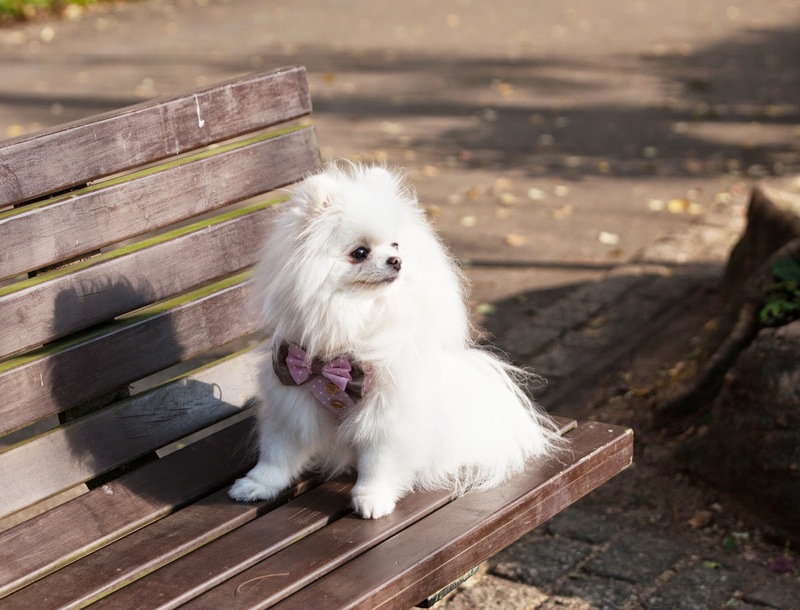 During our photoshoot, I styled Yuki with a pretty polka-dot harness with a bow - and it definitely got her the attention she wanted! This cute and quirky style adds that flirty flair whilst making her comfortable as it has rings on the back to attach her leash. Many thanks to Pet-A-Pawter for gifting Yuki this cute girly outfit! Check out their website for unique, stylish and high quality apparel for your beloved pooch! This post is not a sponsored post. Pet apparel courtesy of Pet-A-Pawter.